This hard and loud dance track is essential for your collection: inspired by an ancient Eastern ‘Master and Apprentice’ legend, it is an energizing five-part hard dance ‘ballad’ that offers several exciting drum builds, three closely related but distinct melodies/themes, and carries sentimental but uplifting lyrics with simplicity that appeals to a wide international hard dance audience. Every Moment Is the Best Moment represents the dreamy and romantic side of the hard dance scale but delivers many noisy kicks and builds, high tempo and deep transitional dynamics. Combined with BPMstr’s electric strings effects, this beautiful single from TuneDome Records produces fantastic inspirational energies and captures your imagination. 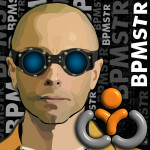 Watch for over 10 more hard dance releases by BPMstr before the end of the year!